The collapse of an eight-story building on Wednesday in Istanbul is now responsible for the deaths of 14 people, according to officials in Turkey. Turkish officials raised the death toll from Wednesday's collapse of an eight-storey apartment building in Istanbul to 14. 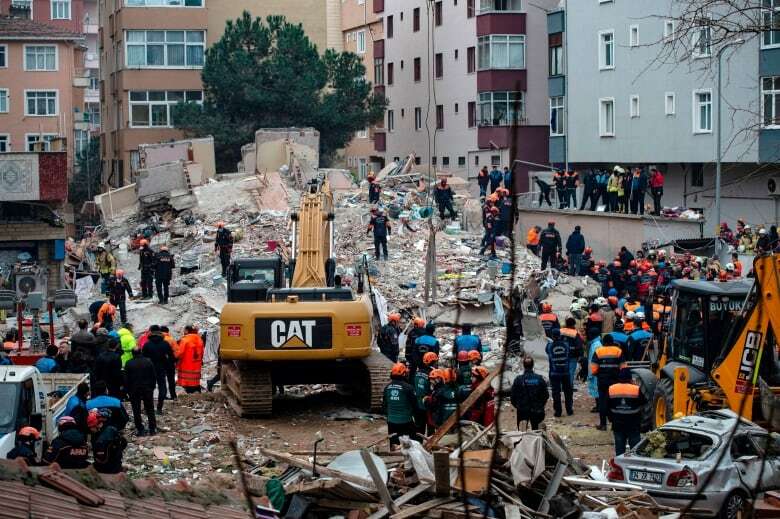 Suleyman Soylu made the announcement Friday after emergency teams, assisted by sniffer dogs, found more bodies in the wreckage from Wednesday's collapse in Istanbul's mostly residential Kartal district. On Thursday, Turkish emergency services pulled a five-year-old girl from the rubble, one of 14 people pulled out with injuries. A nine-year-old boy and a 16-year-old boy were also rescued. The girl, Havva Tekgoz, was carried to a waiting ambulance on a stretcher as one person in a crowd of onlookers chanted "God is great!" The building, with 43 people living in 14 apartments, collapsed on Wednesday. The cause was under investigation but authorities said the top three floors had been illegally built. Yerlikaya said earlier that three of the injured were in serious condition. "All our prayers, all our hearts are with them," Yerlikaya said, in reference to people who may still be trapped. "We are continuing with our search and rescue efforts so that we can deliver good news [about survivors]." Authorities evacuated seven surrounding buildings, and one was under serious risk of collapse. 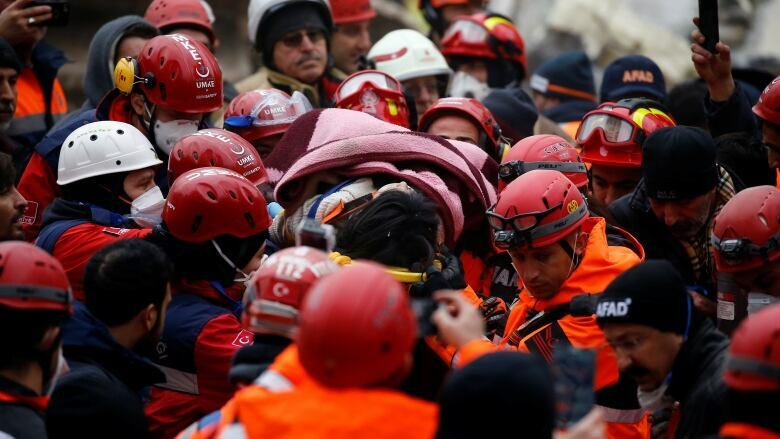 The rescue operation was interrupted three times over fears that it might fall and harm rescuers, Yerlikaya said.